Coffee and a Book Chick: Sunday. Catch up on work...or work on the blog? Sunday. 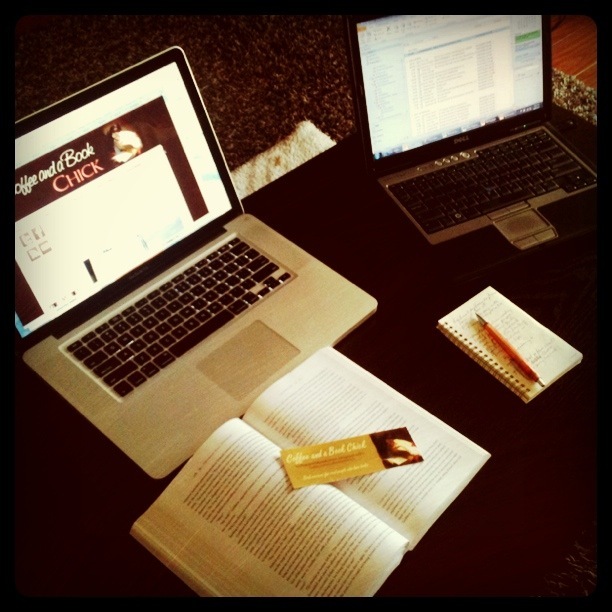 Catch up on work...or work on the blog? By the way, if you have an iPhone (or other SmartPhone), check out the free Instagram app. Wicked cool filters, and you can link to your Facebook or Twitter accounts. Just sayin'. I love Instagram. I'm bummed that you won't be able to come to SIBA. I thought Carl and Jason could hang around some. I love using Instagram. I just started using it about a week ago and it was just in time for my vacation so I could take some cool shots. I'd say the blog will be more fun than work but it is definitely a conundrum! Happy Sunday! Happy Sunday to you my dear!!!! I also seem to have that same conundrum going on at least half of the time! I usually get my work done first, but sometimes the book comes first! Isn't it cool! I am loving the app too. I hope it was fulfilling, whatever you chose to do! Love Instagram. The other one I recently discovered (also free) is Pixlromatic. And Hipstamatic is always good (although not free)! Lovely photo! That's the constant question, isn't it?